Channel 4 has revealed its Paralympic presenting team ahead of the Games kicking off in September. The line up features the largest number of disabled presenters ever seen on television in the UK, heading up over 700 hours of live Games coverage across Channel 4 platforms on air and online. With Channel 4 heralding 2016 as its Year of Disability, dedicated to increasing representation of disabled people both on and off-screen at the broadcaster, two thirds of the Paralympic presenting team will be disabled, including all four daytime presenters. The Rio coverage will be headed up by Clare Balding and comedian Adam Hills, alongside Formula 1 presenter Lee McKenzie and former Olympic champion Jonathan Edwards. Breaking Bad actor RJ Mitte, broadcaster Sophie Morgan and former marine commando JJ Chalmers will also be hosting, along with presenters from London 2012 coverage Ade Adepitan and Arthur Williams. Topical comedy chat show The Last Leg, one of the real success stories of Channel 4’s 2012 Paralympic coverage, will return live from Rio every night of the Games, filmed in front of a live audience at the Olympic Park. Channel 4’s commitment to diversity doesn’t stop with its presenting talent. More than 15% of the Sunset+Vine production team are disabled people, many of whom are brand new talent identified through training schemes. Twenty-four disabled people came through Channel 4’s groundbreaking Rio Production Trainee Scheme, and 20 of them will be working on the ground in Rio in roles such as production coordinators, researchers and technical assistants for various production companies and broadcasters. As well as this, six more experienced mid-level team members with disabilities will be working on Rio content in more senior roles. The channel will broadcast more than 700 hours of content across all platforms, with a boost in online streaming for 2016. Content will include both opening and closing ceremonies, nearly 120 hours of live sport on TV, as well as The Last Leg from Rio and over 700 hours of online streaming. There will be a daily highlights package available on All4 too. Coverage is promising to be more accessible than ever before too, with subtitles, live audio description and signing of the open and closing services on 4seven. Audio described and signed versions of The Last Leg will be available on 4seven shortly after broadcast too. 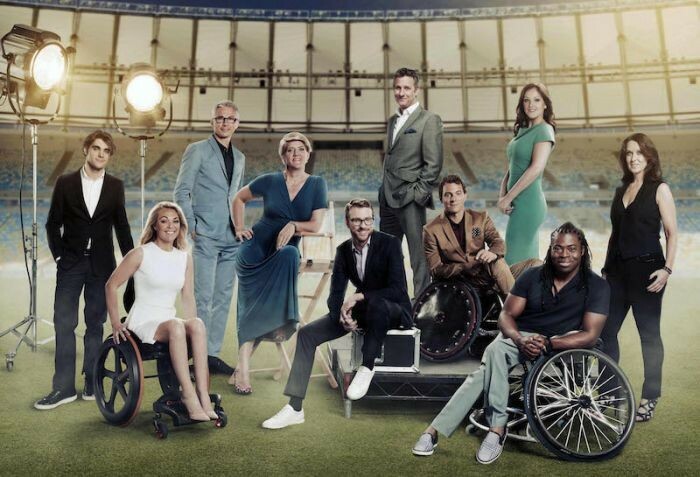 Be the first to comment on "Channel 4 unveils Paralympic presenter line up"